Iola Leroy was originally published in 1892, during a time of black disenfranchisement, lynching, and Jim Crow laws. It is the story of a “refined mulatto” raised to believe she’s white until she and her mother are sold into slavery. Iola becomes an outspoken advocate for her people and a critic of race-mixing. Her story offers an important portrait of black life during the Civil War and Reconstruction. 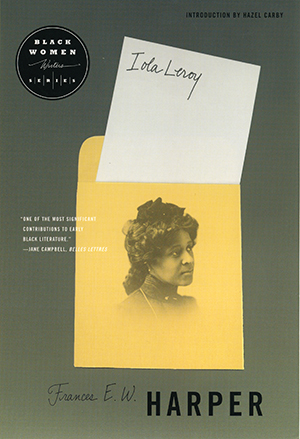 “This edition of Iola Leroy, with Hazel Carby’s introduction, is required reading.” —Henry Louis Gates, Jr.